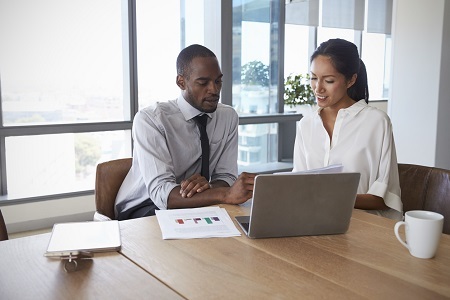 Although January is known as National Mentoring Month for its 31-day-long efforts to promote youth mentorship, the real estate industry is just one of many professions in which employees can benefit from learning through mentorship. While many brokerages offer educational resources via classroom sessions, online training videos, handouts, etc., nothing is as effective as sitting down with an industry professional who has a proven track record and can offer significant insights. Mentoring comes in all shapes and sizes: through group coaching, seminars or face-to-face sessions with an industry expert, and can be charged for a flat fee or via a sales percentage. Brokerages approach mentoring in different ways. Keller Williams, for example, offers a variety of coaching programs in which multiple agents can take part to help them propel their business using different strategies. The Mastery Coaching program is designed to provide customized coaching and business-planning, focusing on accountability and growing a business’ bottom line. The Breakthrough program takes more of a personal approach and focuses on each individual’s strengths. Group Coaching is a module-based learning program, and BOLD focuses on lead generation and script-practicing. All of these programs promise increased transactions, but also charge for their services. According to realtor.com®, RE/MAX Prestige in Costa Mesa, Calif., has a mentor program that matches up new agents to an assigned mentor, which can be a broker/owner, manager or seasoned agent that teaches them about the ins and outs of the business. This program, does however, come at a cost for new agents; a percentage of their sales goes to the mentor. HomeSmart’s mentorship program has evolved to become more efficient by embracing change, adding flexibility and ensuring that mentor and mentee matches are fruitful, with individuals paired based on teaching/learning styles and personalities. Mentoring within the real estate industry not only helps new agents, but can provide the tools more experienced agents need in order to become top sales managers. Leading Real Estate Companies of the World® (LeadingRE) offers the MAESTRO™ Leadership Certification that is made up of three in-person, interactive workshops that focus on three fundamentals: culture, professional development and financial growth. Even the National Association of REALTORS® (NAR) has the AE Mentor Program for association executives (AE) that need support, advice and guidance from more experienced AEs if they are facing challenges. Devote the necessary time to mentor an individual. Establish a relationship that relies on mutual trust and respect. Guide a mentee toward a solution instead of solving the problem themselves. Find alternative solutions for the mentee’s work-related problems. Be supportive of the mentee’s accomplished goals. Clearly understand why they are seeking a mentor and what they expect. Use phone or email to clearly and regularly communicate with their mentor. Discuss strategies with their mentor in an open and honest way. Maintain the confidence of their mentor when speaking of personal experiences. Discuss and critique potential solutions. Some individuals have the ability to self-learn, but for most of the population, hands-on experience is the fastest way to conquer a new set of skills. This stands true in real estate. While new agents are educated on the national and local laws related to real estate through their mandatory licensing process, being successful on paper does not translate to real-life experience. Mentorship is a way for new agents to approach those with more experience and seek out their guidance. And in an industry that is tech-centric, reverse mentoring can help older agents maneuver the cyber world and learn how to use applications that can boost their business. A properly trained agent is also an asset to the real estate industry. If brokerages release their agents without educating them on how to properly manage a real estate transaction, the quality of real estate services dwindles. The consumer population will be wary of hiring other agents—regardless of their experience and sales track record—if they had a poor experience to begin with. Additionally, agents that are mentored by high-earning industry professionals prove more profitable to the brokerage than those who begin their career without any direction. And for more experienced agents, mentoring is not only a great way to give back to the real estate community, but can also assist in forming significant referral relationships.